Gareth Jones On Speed 190 - Season 9 Starts Here. #190 The 2013 Autosport International at the NEC in Birmingham, from Karts to Monster Trucks and everything in-between, including some classic race cars. 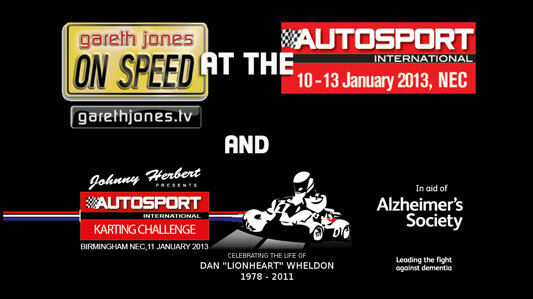 Plus Gareth races at the Autosport International Karting Challenge presented by Johnny Herbert.